Home | Welcome, Sanford Health Patients! As promised, on this page you’ll find the resources I referenced in the workshop. Click here or the image above to access the full presentation. 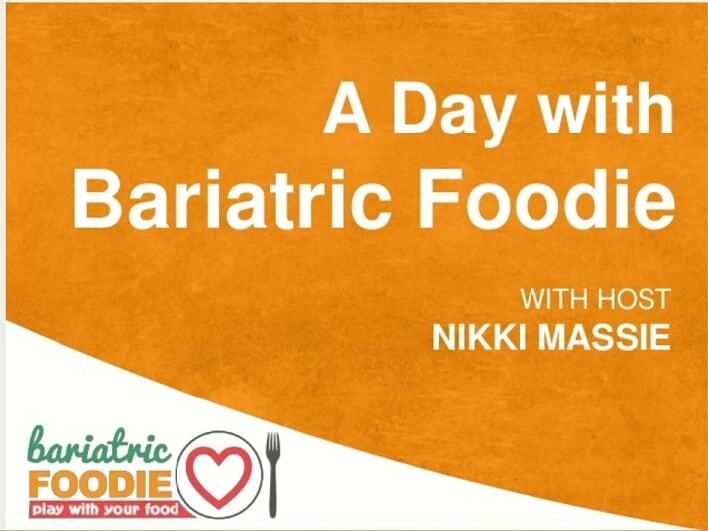 During my presentation I referenced a few pages on Bariatric Foodie. Here are the links! There were a few helpful resources I would like you to know about. Here are the links! The Obesity Action Coalition works on behalf of Americans affected by obesity by advocating better access to care, obesity education, and an end to weight bias. Their website is full of helpful articles and resources. ObesityHelp.com is sort of like Facebook for people living with obesity. Create an account and profile, chat with others of the same surgery type, location and more in their forums! The Weight Loss Surgery Podcast is a great podcast for both inspiration and information. Hosted by Reeger Cortell, a family nurse practitioner at Southern Oregon Bariatric Center, the show features interviews with bariatric patients (like me, in this episode) as well as “lay person” explanations of the latest in obesity science and bariatric post-op care.